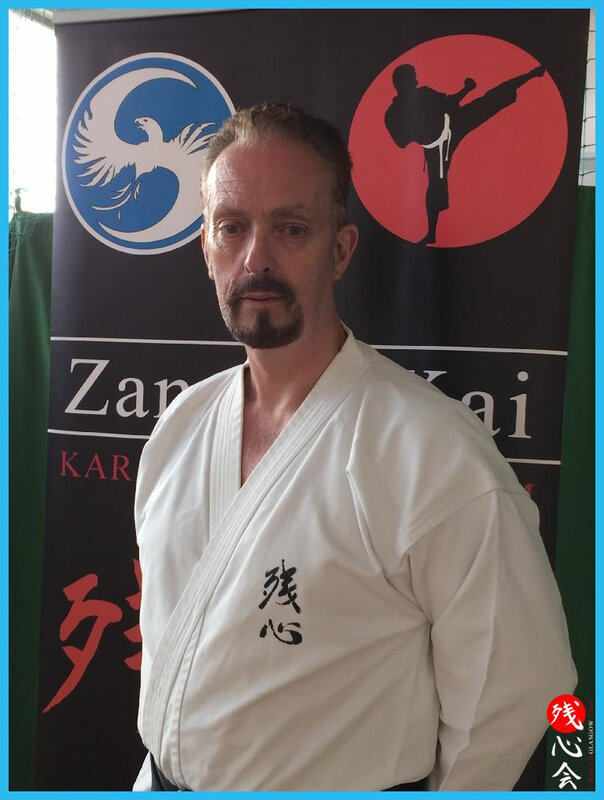 Kenny Davis is our Senior Instructor and has been teaching Karate classes in the Kirkintilloch area for the last 35 years. The club started as a school club in 1980 with Kenny teaching Karate as an extra curricular activity and is still going strong, training at the Leisuredrome in Bishopbriggs, Lenzie Public Hall and Kirkintilloch Leisure Centre. In some cases the club has trained a 2nd generation of students from the same family. The club specialises primarily in Shotokan Karate, however we have many influences and are open to all martial ideas and concepts. Sensei Davis started training in 1969 although had dabbled for 6 months round 67/68. He graded 1st with Sensei Nanbu in Sankukai then started with Sensei Enoeda and Tomita. He visited Japan in the early 80s to live with Sensei Keiji Kataoka 6th Dan JKA and trained in a number of Dojos in southern Japan and also visited the JKA home dojo in Ebisu. Since then he has trained with Sensei's Nakayama, Tabata, Osaka, Yahara, Kase, Shirai, Kanazawa, Asai, Kagawa, Ohta, Akita, Sadashige Kato, Kawazoe, Willie Lim, Stephen Chan, Kam Sung, Patrick McCarthy, Julian Mead, Terry O'Neill, Steve Cattle and Mike Burnand. The ethos has always been the same with instructors at the club teaching for enthusiasm and not for profit, and this tradition has been spread around the world by former students running their own clubs from Lennoxtown & Aberfoyle to Cyprus and Dubai. Kenny believes in a practical, traditional technique and the understanding of what you are doing and how the body works and moves. In the late 70s Kenny also tried his hand at Kickboxing during its inception. Kenny is assisted by Willie Marshall and McCrae Loney, both 5th dans and who have been training with Kenny for over 30 years.